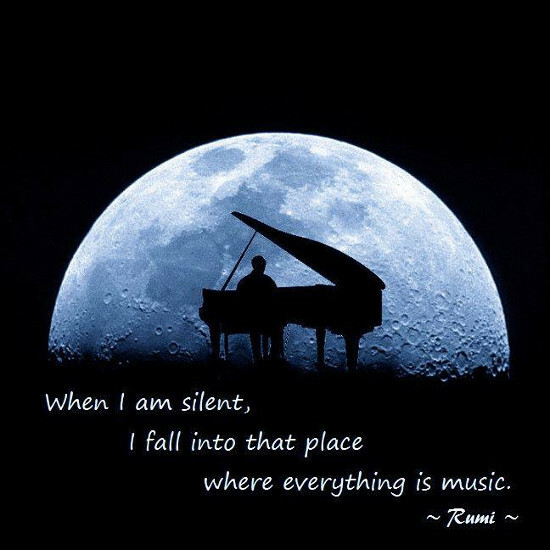 There is music all around you, though it can sometimes be difficult to hear. Listen to the laughter of children. Listen to the birds singing. Listen to puppies playing. It's all music, and it's all wonderful, but sometimes we are too busy making our own sounds to hear the chorus all around us. Take the time to listen, and enjoy the music that abounds in the world.